Summer is winding down and fall is on the way. For Fescue lawns it is the perfect time of year to begin preparations for aerating and overseeding. 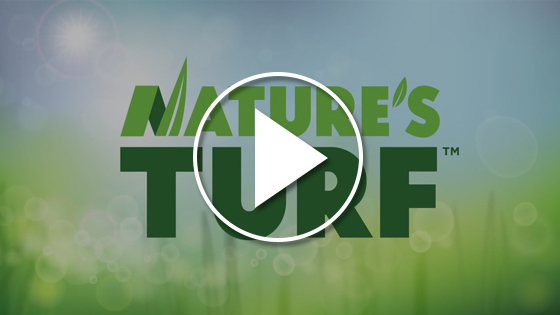 Tall Fescue is a cool season turfgrass, so re-establishing areas of the lawn that have declined from the summer heat can be done by this process. Unlike other grasses in the Metro Atlanta area, Fescue does not have rhizomes or stolons. Without these “runners” it will not self-repair, making aeration and overseeding essential for maintaining a Fescue lawn. Now that we have established the importance of overseeding, let’s discuss when and how this should be done. As temperatures begin to cool down mid to late September the lawn can be prepped. Go ahead and mow the existing turf low and remove any debris. This will not only allow for better seed to soil contact but will be helpful since mowing cannot be done for several weeks. Next, the core aeration can be done. Using a core aerator is important because it will reduce soil compaction and allow for better airflow and water absorption at the roots. Once the aeration has been done the seed can be spread. The rate for overseeding is generally 6-8 lbs of seed per 1000 square feet. Remember, Fescue is a “cool-season” turf and is actively growing through the fall. It is important to monitor irrigation and maintain a regular 7-10 day mowing schedule at a 3-4’’ height. This will keep the lawn free of leaves and debris while encouraging a dense and healthy lawn for the spring. In addition to using these good cultural practices a starter fertilizer can be applied to assist with turf germination and growth.